You are currently browsing the category archive for the ‘Gregory F. Lavelle’ category. There is a floater bill, put up as a joke to all but Greg (what, it’s a joke?) Lavelle (who thinks it is serious), that defies explanation…. In Delaware we get a joke bill that will, get this…. allow parents to use the funds that would have been allocated to their child at their resident school district for an education program of the parents’ choosing…. Uhhh. Request from Kent County….. I want to teach my son how to make meth… I choose that education program so give me my money…..
Uhhh. Request from Sussex County…. I want to teach my son how to slop pigs… That way I won’t have to payfor one of ‘dem Mexicans… Give me my money…. Uhhh… Request from New Castle County…. I want to teach my son how to sell drugs and work a string of hoes…. Give me all mine in big bills…..
Has anyone ever heard of a more ridiculous bill? Figures…. it would have Greg Lavelle’s name plastered on it… What were the residents of the 4th District thinking? Imagine. Robbing YOUR tax dollars away from public schools, to teach the arts of meth-making, pig slopping, and hoe-tending?…. There must be less oxygen the closer one is to the floor…..
We’ve already run through the cost analysis. It is cheaper for you to pay 10 cents a gallon than not (because of the damage done to your car if the money if not forthcoming). Now, let us look at who is against it and why. Pete Schwartzkoph, and the Republicans. Both have a singular characteristic. Both need to justify their positions to voters back home. If you are a Republican, for example, you have essentially earned a salary for doing nothing except show up. You are pointless and take up space, simply because in a blue state, solely because of the smallness of your voting bloc, even if you wished, you could not make any legislative difference. Since you are so impotent, you seize on this distraction, to pretend to show your voters that you will look after their interests, even though you know what you are saying is just plain wrong. 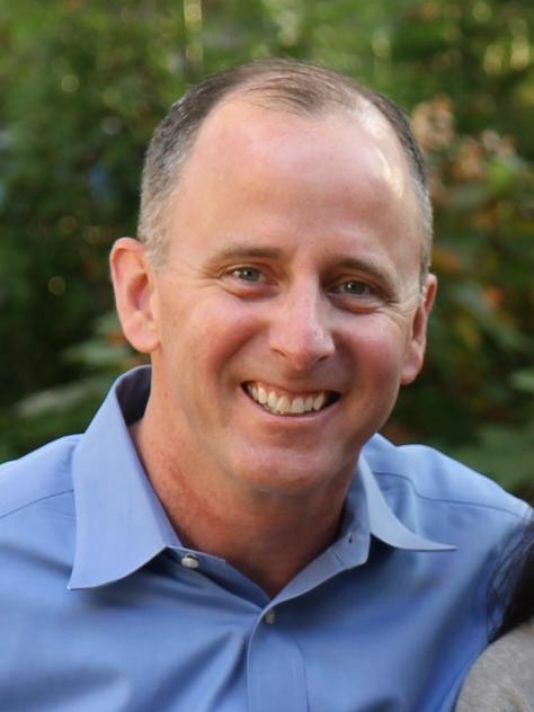 Even though you know that if you were in power, that you would be pushing this 10 cents gas tax, instead, by pretending to be against it you hope to pretend you are tough and standing up to the governor, and hopefully some dummy who will only pay attention to this topic, will be enough to push you over the top in your next election…. You are probably going to lose in the next election. Then as a civilian, your car will hit potholes too. And you will be paying far more in repairs, than the 10 cents gas would cost you… Not voting for ht 10 cents will kick you in the end…. Everyone will first react negatively. I did. But everyone who looks at the benefits, sees this tax as a very cheap option to save oneself a whole lot of money….. Truth is, if I hadn’t looked at the wonderful benefits, I’d be against it still. It’s sort of like this: if someone says, “hey you, buy this car” you say, “aw shucks, can’t. Not interested. I’m happy with what I got here.” But if someone says, “buy this car, it’s worth $40,000 but right now, it is priced at $10,000… Buy it for that?.” Then buying a car is a whole different ball game. The 10 cent gas tax is like that…. The proposed legislation will be incremental. It will be minor in scope. It’s design is to pit the same groups that combined to apply political muscle to push forward both Newark’s contaminating power plant, and the Millsboro chicken processing plant, towards next applying political pressure to diminish and eventually abolish the Coastal Act. It will be pushed along as good for jobs, taxes, and energy benefits. However, none of those will receive benefit. Instead it is designed in a way to open the coastal area to development. The benefits will all go to developers, Surprised? Developers as we know are very reputable human beings and would never break a law, would never allow any facility to be built which might pollute, in order to make hundreds of millions of extra dollars. The Coastal Act is Delaware. If it goes, Delaware again becomes the cess-pool is was before environmental laws were ever dreamed. As went Army Creek, so goes the entire Delaware coastline…. Time to get busy now… Stir the pot so nothing sticks to the bottom later. “All Rise and Raise Your Right Hand… Do You, solemnly swear to have no remorse, to allow those known to be extremely violent and mentally twisted, to possess all purchasable firearms and ammunition, and to have no restrictions upon their use? So Help You? “WE DO. WE VOTED AGAINST Barbieri HB 88 w/HA 1, HA 1 to HA 1, HA 2 BECAUSE WE BELIEVE ABSOLUTELY EVERYONE SHOULD HAVE THE RIGHT TO OWN A GUN WITH NO RESTRICTIONS, EVEN IF THEY LOVE THE MALICIOUS KILLING OTHER HUMAN BEINGS. Ok then in order please state your name and affiliation… in the order you are listed above. 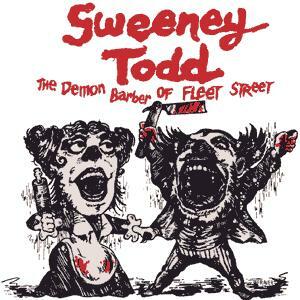 Sweeney Todd– Republican; Bruce Ennis– Democrat; James Holmes–Republican; Colin Bonini– Republican; Adam Lanza– Republican; Cathy Clouthier– Republican; Charles Manson– Republican; Brian Bushweller,–Democrat; Gerald Hocker– Republican; Greg Lavelle– Republican; Robert Marshall– Democrat; David McBride–Democrat; Gary Simpson–Republican; Robert Venables– Democrat; Charley Manson– Republican; Brian Pettyjohn– Republican; Jeffery Dahmer– Republican; Ernie Lopez– Republican; Sweeney Todd– Republican; David Lawson– Republican; Jeremy Loughner– Republican…..
Delaware passes a common sense bill that does nothing to violate the 2nd Amendment Rights of anyone who would have easily passed a simple background check. This bill does make it harder for a criminal to buy a gun from a gun show where no questions are asked… That is all. The NRA and it’s yipping Pomeranian were unable to win against this good common sense bill The NRA has begun yelling and calling us all crazy. The joke is on them. We know from simply watching Wayne LaPierre and seeing Sigler shoot pigeons in boxes, that they are truly the crazy ones. Hat’s off to all who got out of the way and let logic take its course…. One of the untold stories of the great Dornier escapade in Southern California, involves the tiny firm of L&L Enterprises, a winery dispensary sitting off the main drag of Big Bear Lake just north east of Los Angeles…. Someone had ID’d Dornier entering a building across from the command post, and had called the police…. As the very first sheriff’s deputies arrived,,, Ernie Lopez and Greg LaValle rush out of L&L Enterprises which was next door to the location, with vital information… Dornier had put what looked like guns into a SUV and had headed north out of town up into the wilderness…. On this tip, the entire operation shifted its focus and fanned out over the north side of town, using infrared heat scanning to try and find his hideout…..
Days later, he was discovered holed up in the house right where he’d been reported!…. By an almost uncanny coincidence, the same thing is being done here in Delaware by people with unbelievably, the exact same name… Ernie Lopez and Greg Lavelle…. both are members of the Republican Party; both are in the Delaware Senate…. 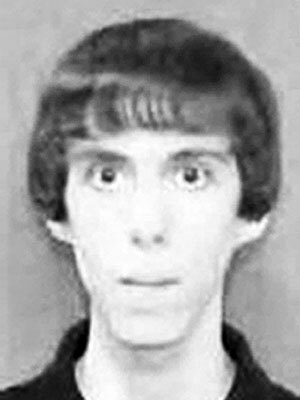 What they have done is introduce two bills to throw confusion into the Senate, so the necessary bills to help curb mass murders like Alan Lanza, do not get passed…. There is a bill in Delaware’s Senate to renew mandatory background checks for everyone who buys a gun…. And that is the point of L&L Enterprises… They are pretending as did their namesakes in California, to appear to be good citizens helping to do some good, when in reality, their actions cause the exact opposite…. 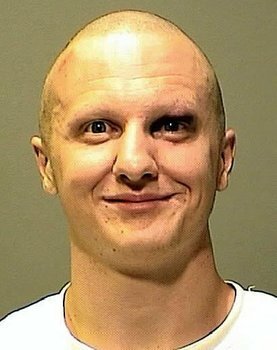 The idea behind background checks is that if everyone good undergoes a background check, those who don’t can be deemed as being bad… What a mandatory background check does, is absolutely nothing but identify to law enforcement in a timely fashion (before they get shot) who is safe, and who is unsafe…. Allowing holes in the system, so criminals can get weapons and not be traced, is pointless. Without it being mandatory, meaning everyone has to undergo it if they wish to purchase a gun means the whole bill is pointless…. It means criminals can get guns easier with the bill than without the bill. We register every single car… If a car shows up in a body shop and the owner of that body shop sees it hit a person, and guesses it is the weapon of a hit and run, we can use the VIN number, and trace that car back to it’s last registered owner. From him, we can determine where the car went, interview that person, and follow the trail…There is a very good possibility we can find the hit and run driver and bring him to justice… But if we never registered cars, we’d never be able to do that…. Now registering cars is common sense. But let’s venture for a minute and speculate that say Pennsylvania under Corbett, didn’t register cars… “Forget about it,” he chimed when he took office…. Now all those cars we see with PA tags, effectively have no registered owners. The hit and run car now has PA tags stolen from somewhere, and is sitting in the body shop, obviously used in a crime, but is now a dead investigative end…..
L&L Enterprises are trying to muck up the works as did Tom Corbett. When we should be debating how awesomely mandatory background checks will give us a tool to use against crime, they are floating bills that preserve the potholes in the road to Public Safety which we need to have filled…..
Others can guess at their nefarious motives, just have those in California been guessing for a month…. All I’m saying is their bills of distraction, are very harmful to us Delawareans trying to ensure a Newtown type shooting does not occur here…….